1. Six wins and a draw, what are your thoughts on the start of season? I think the start to the season has been good. I think to be unbeaten at this stage is good, as you will no doubt feel yourself at this stage. I think there is a real risk of exceptional performance levels becoming the norm and almost unappreciated because of the extraordinary success and relentless winning mixed with exceptional performances we saw from the first minute to the last minute last season. But we’ve already chalked up a 6-1 win and a 5-0 away win; they were against Huddersfield and Cardiff who will take plenty of beatings this season, but that shouldn’t diminish the quality of football City played to put both to the sword. Our only draw was against an extremely impressive Wolves team where City came from behind to claim a creditable point. Overall, I’d say it’s quietly been a very impressive start, but there’s still an extra gear or two to move into. 2. Are there any differences between City this season and last season? 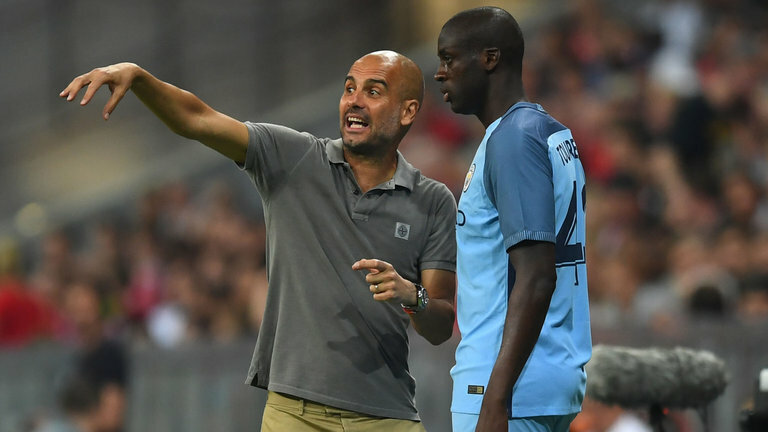 Benjamin Mendy; as long as he’s fit, he provides a tactical option that City simply didn’t have last season because of his injury. He is extremely good attacking down the left, he stretches play and has great crossing ability. He gives Pep a really different option because he’s so dynamic. It changes what he asks Leroy Sane to do and I think ultimately, we learn whether Sane can play inside of a wide man or not. It will certainly make things interesting when Kevin De Bruyne returns from injury. If Mendy pulls defenders and midfielders out wide, that could leave lots of space in the middle for De Bruyne to wreak havoc. 3. Which City-players have impressed you the most in the first games? Raheem Sterling has gone up another level. His decision making is improving all the time, he’s a constant goal scoring threat and he’s a huge pest to defenders and is getting better and better through the middle. 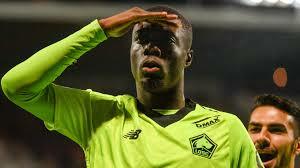 He’s currently in the middle of a contract negotiation (something Liverpool fans probably have a happy memory of!) and it seems he’s holding out for a significant pay increase that puts him somewhere close to parity with the very top earners at the club. Frankly, City should be willing to offer it. He’s integral to the team, Guardiola loves him and if we lose him on a free or at a knockdown price before his peak years, I have no doubt we will live to regret it. 4. Some of the world cup players from the Premier League has been slow starters this season, any signs of that at City? To be honest, I don’t think that’s been a concern so far. Arguably Fernandinho is a little out of form, and Gabriel Jesus isn’t at his best at the moment but I don’t attribute tha to the World Cup, I think it’s just a developmental thing. Other key players who went to the World Cup – Aguero, Stones, Walker, Sterling and the rest have come back absolutely flying. Our slowest starter was Leroy Sane and he famously didn’t go to Russia in the summer. 5. How has Riyad Mahrez adapted to play for Manchester City? He’s settling in OK. In the first few games he looked shy of making decisions in the final third – perhaps that could be attributed to overthinking things with a desire to impress and prove himself worthy of the £60m price tag. But he’s got his first goals now, having scored three in two games against Cardiff and Oxford and it looks to have settled him down. His first touch is to die for and we know from his time at Leicester he can be lethal around the box and link well with teammates. I think his signing is a good move for him and for City but he’s got a lot of competition for a place. I think he’ll rise to the challenge of securing a regular spot. 6. What do you expect of Man City this season? Evolution on last season. Nobody expects us to post the numbers we did last season and as supporters we have to accept that we won’t get 100 points, 106 goals, just two defeats or to win the league by 19 points. It was an incredible season and we might not ever have it like that again. But I do think we’ll see the team improve it’s playing style as Guardiola’s style becomes more and more ingrained. Obviously the hope is that we’ll retain the title as we’ve not done that before and no English side has done it for a decade. It would be a huge achievement to do that. Personally, I’d love an FA Cup win. We’ve not had a decent stab at it for some time now and the last time we won it was 2011 – it feels like a long time! Obviously, progression in the Champions League would be good as it’s the only trophy that has eluded since the takeover in 2008. But I think people outside of the club don’t believe us when we say the Premier League remains the priority amongst the majority of our supporters. On a personal note, I would choose winning the league over the Champions League every single time. But, of course, a trip to Madrid in May would be nice! 7. You have a bad record at Anfield in the past seasons, how do you think we will see City lineup in this game and what do you think you need to change from the previous games?